FOR IMMEDIATE RELEASE: Lewiston, Maine (October 5, 2016) – New England Fights (NEF) presents its next mixed-martial-arts event, “NEF 26: SUPREMACY,” on Saturday, November 19 at the Androscoggin Bank Colisee. Earlier today, NEF executives announced the addition of a professional featherweight bout to the fight card. Aaron “Relentless” Lacey (3-0) has signed on to face Taylor Trahan (6-6) at a fight weight of 145-pounds. Lacey is riding high on a three-fight win streak to start his professional career. He will be looking for his fourth win in a short seven-month period. It would seem that the Young’s MMA featherweight is on the fast track to the next level of the sport. Lacey knows that to get there he will have to continue to face, and defeat, tough veterans like Trahan. Trahan is the definition of veteran. He has competed on the regional mixed-martial-arts scene since 2009. 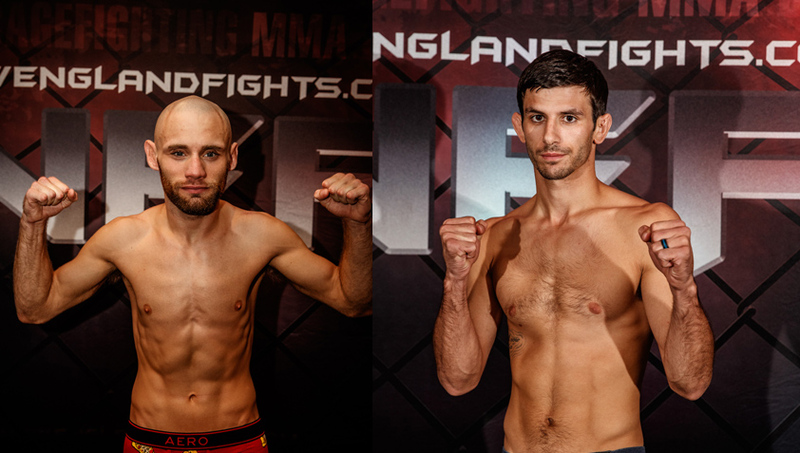 Last month, Trahan made his debut in the NEF MMA cage, defeating Matt Denning (3-4) via first-round submission. It put an end to a five-fight skid that Trahan had been on. He will look to make it two in a row on November 19 against Lacey. The opening bell on Saturday, November 19 is set for 7 p.m. Tickets start at $25 and are available at www.TheColisee.com or by calling the Colisee box office at 207.783.2009, extension 525.